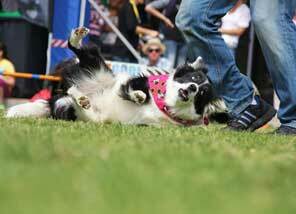 When you blend passion, energy, love and a good sense of humour with a variety of energetic and happy hounds into a show and then you throw in some powerful messages about responsible pet ownership, as well as some motivational principles that teach you how to champion your own life, then you get what we like to call, THE INCREDIBLE DOG SHOW. 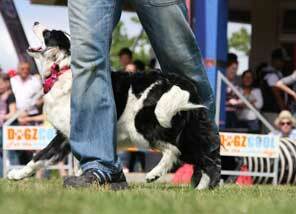 This world class show features high caliber dogs that are super amazing, talented, happy, energetic, and adore performing for audiences. 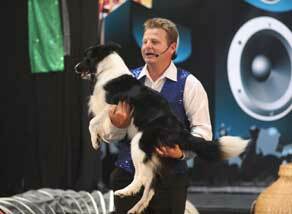 Our wonderful canine family have reached huge success beyond just their entertainment acts. 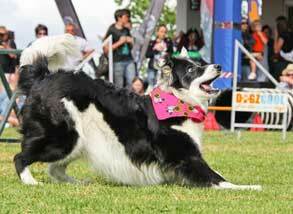 The Incredible Dog Show features dogs that have been multiple National Champions, that have broken Guiness world records and which have excelled in a variety of disciplines. 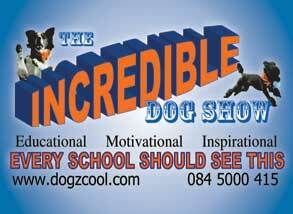 The Incredible Dog Show is highly entertaining, very informative, educational, inspirational, and filled with energy, passion, laughter and fun. The most important thing however is that the show makes a positive difference to the lives of the humans that see the show and so too to their respective pets at home. 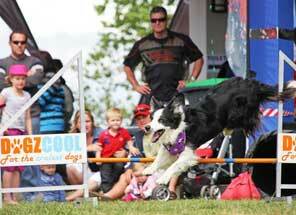 The Incredible Dog Show ia a world class entertainment experience, which is adored by all age groups. 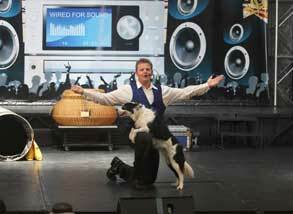 Get ready to smile, laugh and be awed by Africa's most entertaining canines, in a fun, interactive and educational show. 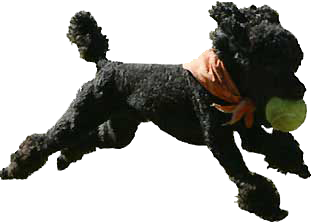 The ethos of the show goes way beyond brilliant entertainment, it is about adding value to the lives of humans and their pets too. We adapt our presentation to be perfectly audience appropriate, as a result we continuously recieve rave reviews, regardless of the age group or type of event. 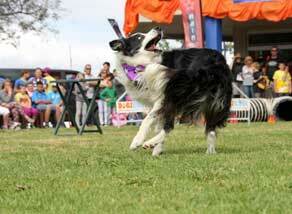 The Incredible Dog Show will make any corporate event spectacular. Our motivational talks are super powerful. Do you have a product to promote? Use our show to showcase the quality of your product or service. 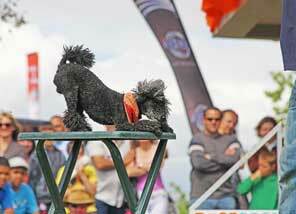 The Incredible Dog Show appeals to the entire family. The show is so unique in the fact that it appeals to all age groups. There is hardly a day that we don't receive letters of appreciation. 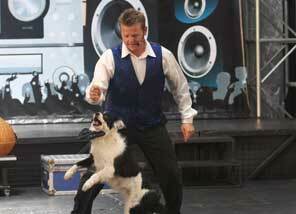 Frequently teachers tell us that this is by far the best show to ever visit their school. We come accross so many children that may have had a fear of dogs who by the end of the show beg to take part in the inter-active activities. 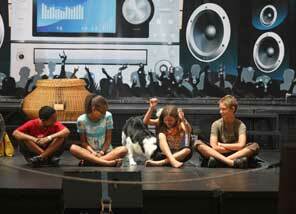 Life skills, values and educational messages abound throughout the show. Listen carefully as the show is packed with both obvious and subtle humour that will certainly have everyone laughing. 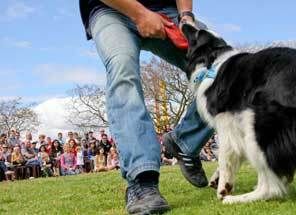 Especially at school shows we teach the audience about the importance of loving and caring for their dogs and other pets too. 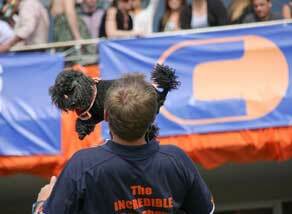 Inside every dog and person there lies the potential to do INCREDIBLE things with their lives. 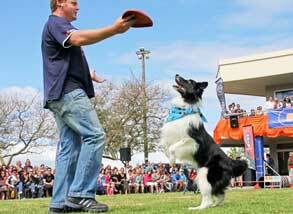 When positive and rewarding ways are used to train, the love that exists between the dog and its handler astounds! The change that our show influences is so needed. 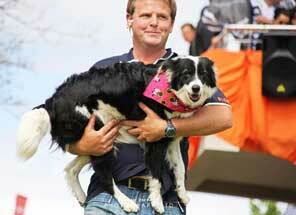 It will help the people who watch and the animals they come into contact with!